There’s some real swell sales going on right now by two of our favorite vintage vendors! First up, Wyco who appears to have gone nuts and put their entire mind-blowing inventory (over 1200 items) at a 25% discount. There’s seven days left of their madness but the best deals are getting plucked fast. 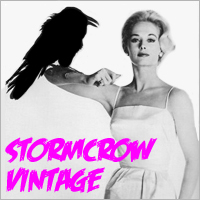 Then head over to Stormcrow who has close to 250 items at reduced prices from 10-25%. I love Stormcrow’s hip hop selection, I recently snagged a Kool Moe Dee tee and a De La Soul shirt from him a now EPMD is calling. Pretty sure I’m putting his kids through college.